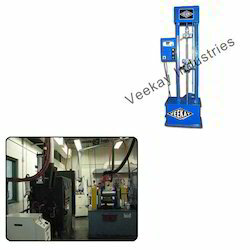 Leading Exporter of rubber testing equipments for rubber mill from New Delhi. We offer Rubber Testing Equipments for Rubber Mill to our esteemed customers manufactured using superior quality material and with skilled engineers and other workforces. Our available calibrators are offered in elegant designs and long lasting features at competitive market prices and on time deliveries. Looking for Rubber Testing Equipments for Rubber Mill ?